I know this seems like common sense but many players do not have an adequate umbrella to cover their equipment and themselves and many players do not cover their bag with an appropriate cover. Golf umbrellas come in very large sizes these days and most bought bags have covers in so make sure you keep yourself dry or shaded and stop the rain going to the bottom of your golf bag. Have you ever walked out of a clubhouse, gone to the first tee and thought? Oh no! I’ve forgotten a scorecard or a pen to write on the scorecard with. There’s also a reason to have the notepad. 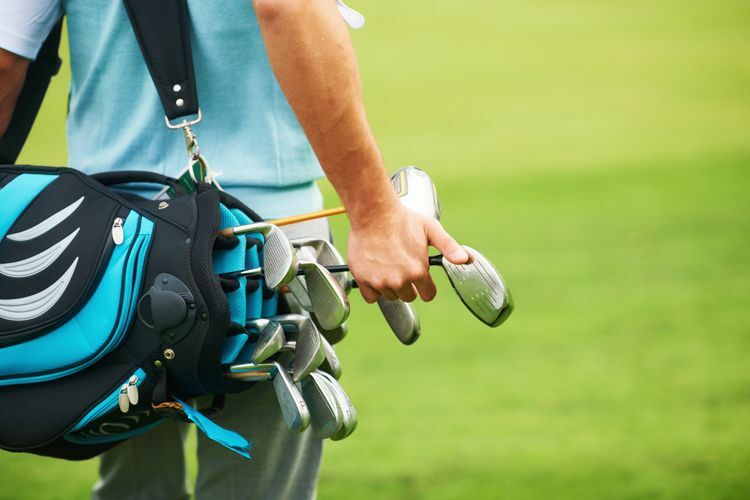 Make sure you stock a small stationary cupboard in your bag because you will one day forget the key items to a round of golf and you will be able to provide your playing partners or yourself with the equipment. A notepad is also neccessary for corrections to your golf game. Write down your mistakes when you have a small break and it will be something to work on later. Essential to all man kind, it will be the power that lifts your round up from the ground. Always prepare yourself before a round, don’t leave it to the last minute because you need to make sure you have everything you need.